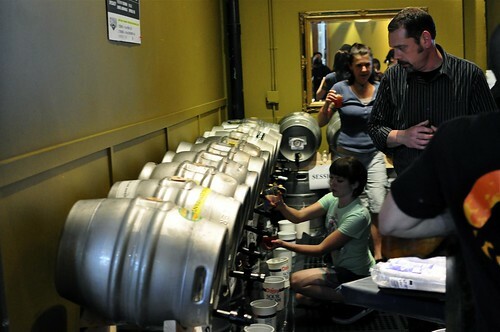 If you haven’t seen it yet, check out the Seattle Beer Week Flickr pool. There are currently more than 400 photos and 16 members. Anyone can join and upload their pictures if they wish. Or, you can just flip through if that’s your thing. My brain is a bit melted from the madness that was SBW. I promise I’ll get to some sort of overview of the week soon. For now, enjoy some photos. Click on any of the photos below to see the entire group. Cheers! Photo from sagebomb1 in the SBW Photo Pool. 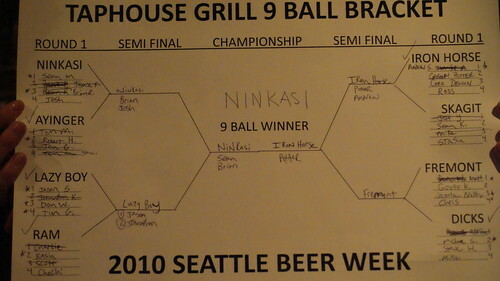 Taphouse 9 Ball Tourney Results - Congrats to Team Ninkasi. Great time. 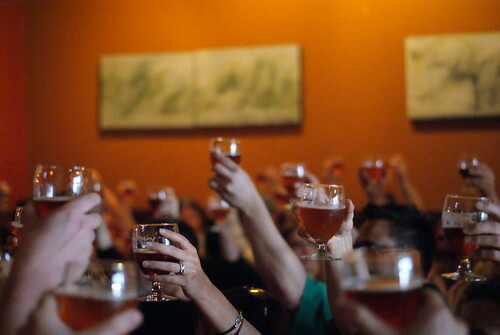 Washington gathered more votes (70% to 30%) than Oregon during Firkin Firkin at Elysian. Thanks to +Russ. 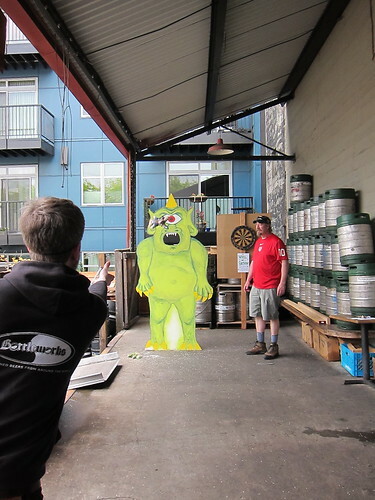 Devlin tests his accuracy after a couple barleywines at Elysian's Cyclops Olympics. Thanks to onegearonemind.